Birth in the Tradition TM, and Mother's Keeper Inc. is a community based Midwifery, Labor and Post Partum Doula/Montrice service offering prenatal, birth and postpartum services to low risk mother's in Georgia since 1980. Individualized, customized, and holistic prenatal care is provided on a personal basis. This includes prenatal support, nutritional guidance, prenatal education, labor assistance, in-home visitations, postpartum and newborn education, breast feeding support and referrals to outside resources to support a healthy pregnancy, birth and postpartum recovery for the new mom. A team of professionals are available to meet your need which includes your Midwife, her assistant, an apprentice, OBGYN, Pediatrician, Lactation Specialist, Natural Childbirth Instructor, Labor and Post Partum Doula's, Herbalist and Natural Path Doctor. Specialties include, VBAC's, Water Birth, Lotus Birth, Placenta Encapsulation, Birth Photography, Herbal Knowledge & use, Belly Casting, Blessingways Planning, and Traditional Birthing Practices from various parts of the world. Birth in the Tradition believes in returning birth to the family. This is the culmination and beginning of journey which began with the couple. The midwife is here to support the normalcy and naturalness of a healthy pregnancy and birth to the very best of her ability. She is not take over birth unless her midwifery skills are required. At the same time, she is there to provide the comfort, wisdom and expertise of her craft, knowledge and skills appropriately. Prenatal care begins once a mutual agreement has been made between the midwife and her client and continues six weeks after birth. In many cases an extended family relationship continues a lifetime. Become a certified childbirth educator with The Childbirth and Postpartum Professionals Association. Attend an intensive weekend workshop in Massachusetts. Childbirth educators have the opportunity to reach families when they are open to new ideas and to help them achieve positive birth experiences. CAPPA offers the highest level of evidence-based training available and is the fastest growing childbirth education and doula organization in the world. Accelerated program with related experience. I have ben a Lic Midwife in SC since 1986. I have a course (Midwife To Be )that is SC DHEC aproved. Its 30 units with 2 tests per unit. Each unit takes apx 1 mo. Cost is $25 per unit. see web site for more info. Its a pay as you go course. Also join our Midwife To Be Yahoo group if enrolled. Home births offered in the Upstate. I provide midwifery care (prenatal, birth and postpartum) well-woman care, homebirth services, hospital midwifery support, and childbirth education classes to women and their families. I provide herbs, homeopathy and acupressure, nutritional counseling and lactation support. 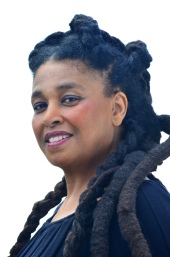 I provide Holistic Well-Woman (gynecological) care at the UPAYA Center for Well-Being in Oakland. This includes gentle, thorough annual exams, (Pap Smears, cultures, Breast Exam, etc.) birth control counseling and diaphram/cervical cap fittings. 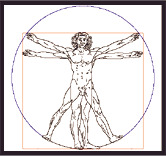 Pre-conception and perinatal consulting, nutritional/herbal workups also included. Please call 421-7879 to schedule an appointment. I am a Professional Doula or Childbirth Labor Assistant.I was certified through DONA. I assist in a midwifery practice as a doula. I'm a student of midwifery with AAMI(Ancient Art of Midwifery Institute). I have four children: the first three were hospital births and the fourth was a planned and wonderfully, blessed homebirth with a traditional midwife! I provide encouragement and comfort measures to the laboring woman in a variety of ways. You’ll always remember the sound of that first cry, the first time you felt the tiny hand grasp your finger, watched the sleepy eyes open and gaze into yours. The birth of your child is an experience unlike any other. We invite you to see why parents are choosing midwives to assist them in bringing their miracle into the world. 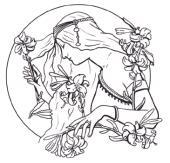 The Matrona is a non-profit organization offering classes and correspondence courses in holistic midwifery and holistic doula training, plus free community workshops in a variety of health and parenting related topics, including everything from herbs and medicine making to birth control options to DIY auto mechanics for women! 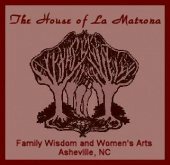 At The House of La Matrona, we believe birth is a sacred and profound experience and we teach midwifery as a Sacred Art. We believe that childbearing is a time of transformation and empowerment for parents, and the work of the midwife is to return birth to the family. Our house is dedicated to serving women and families by providing opportunities to access knowledge of Women's Healing Arts. We believe that the knowledge of birth and midwifery is among those arts, and belongs to all individuals and all families. We are State Liscensed Midwives in Anchorage, AK. We provide holistic prenatal care, birth in your home or our birth center and complete postpartum care. We honor family in everthing we do and tailor our practice to the indivdual. We also have an Advanced Nurse practioner who can continue to follow you for all your well woman needs. Because of our belief in attachment parenting, we are distributors of the OVER THE SHOULDER BABYHOLDER slings, and for MAYA WRAP slings. La Leche League meetings are held at our clinic monthly. And Childbirth classes and doula services are offered. 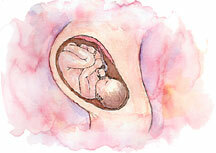 I offer traditional, home-based midwifery and birth care in Stevens and north Spokane counties. Most insurances are accepted. Childbirth classes based on the Birthing From Within techniques are also available. Additionally, I lead 2-4 week international clinical trainings (Honduras, Senegal) and teach 3-day intensive midwifery skills workshops throughout the US. I also have information on several other international training sites. Please contact me for more information on these opportunities. 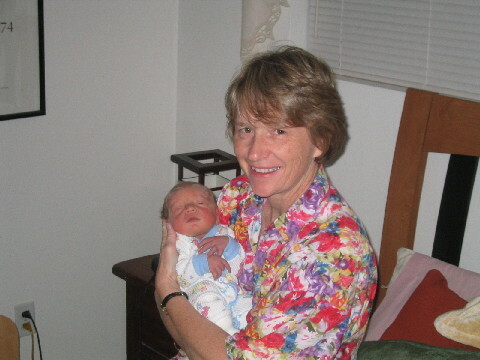 I have ben practicing as a SC Lic Midwife since 1985 and have a SC aproved Midwife to be class that can be done in person , email or mail.